In all honesty, I am a huge fan of fresh fruits and vegetables, and would probably be satisfied just crunching on raw broccoli for 90% of my meals. But when I went RAW I was warned about ‘raw-burnout’, a sort of boredom that sets in from eating too many similar foods. I suspect this affliction is most prevalent in people coming from SAD-style eating (that’s ‘standard American diet’) who are used to rich and artificial flavors polluting their food. Thus far I have been totally stoked on my fresh flora . . . but of course, I’m freaky like that. I just dig on real foods. Still, I’m never one to pass up an opportunity for gastronomical exploration. 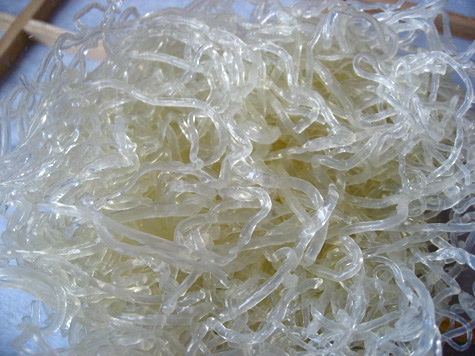 I prepared for this month with bit of specialty shopping, and one of the items I picked up happened to be Kelp Noodles. Little did I know, this new product is all the latest rage in the RAW community! Combine all ingredients in a blender or food processor and thoroughly blend. Toss noodles to coat, adding cherry tomatoes or the veggies of your choice. Combine all ingredients in a mixing bowl and whisk thoroughly to blend. 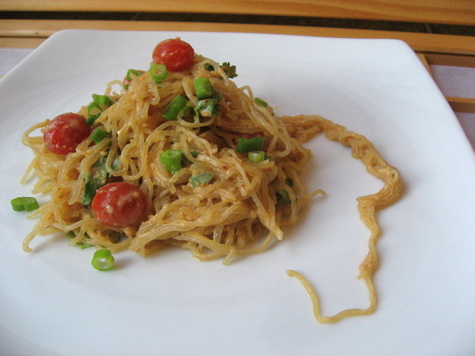 Toss noodles to coat, adding cherry tomatoes cilantro, and green onions. Overall, I was so-so about the noodles, due to their strange texture. It’s difficult to describe, but they’re almost crunchy in that agar-y, kelp-y sort of way. Very reminiscent of lychee candy, which is great as a treat but not so good in a savory, noodley dish. However, a little poke around the internet revealed that there is a way to get diminish the crispiness. By presoaking the noodles in an acid, such as lemon water or vinegar water, you can get them to plump up and relax. These noodles passed the Husband Test, so I will definitely be getting them again and attempting the soaking technique. I have all sorts of recipe ideas . 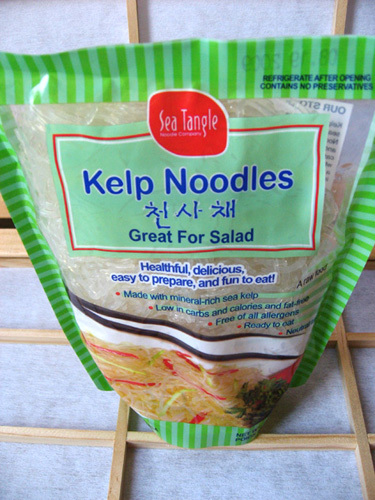 . .
Have you tried Kelp Noodles? What do you think? Those looks interesting. The spicey peanut sauce one looks delicious! I’ll have to hit up the Asian grocery and pick some up. @ Tammi – Interesting for sure! They’re available outside of Asian markets . . . I got them at the ubiquitous corporate ‘health’ grocer that will remain nameless. Is there a reason you didn’t use peanuts for the “peanut” sauce? Just curious, because I love peanuts. 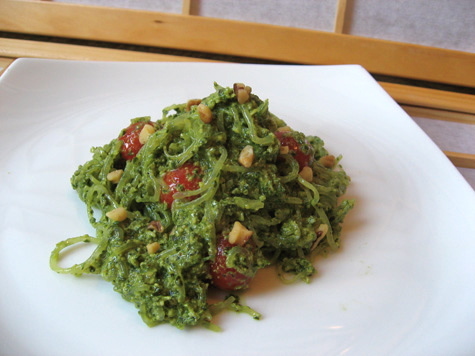 I love the pesto. I love the noodles. And I hadn’t thought about these noodles for a while, either. I should revisit these . . .
Just made the spicy “peanut” sauce and loved it! It was the perfect compliment to the kelp noodles. I used all almond butter since that’s what I had and garnished with shredded cabbage, carrots and green onion. 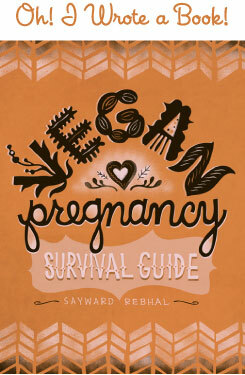 I’m new to the raw lifestyle and and have found so much inspiration from your blog! Thank you so much!! I love kelp noodles! If you rinse them, massage them (like you would kale) for a minute and let them marinade in your sauce at room temp for a bit, they are very tender and similar to actual pasta. I have even put them in the dehydrator to speed up the process but still keep them raw.